Tips for bullet and die organization? Anyone have good tips for organizing bullets? I'm going to start a flooring project soon that will involve relocating a lot of my reloading stuff so that will be a good time to improve my organization. 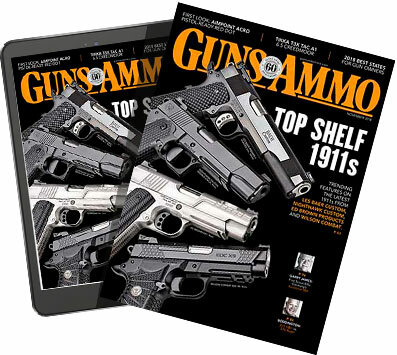 Right now I just stack all of my similarly sized boxes of bullets on a shelf (see pic). I'm thinking maybe some smallish transparent plastic containers that would hold different diameter bullets in their original boxes (e.g. .224, .243, .25, etc). Same issue with all of the dies in the background - any clever ideas for organizing those? I'm not opposed to building a new free standing shelf. 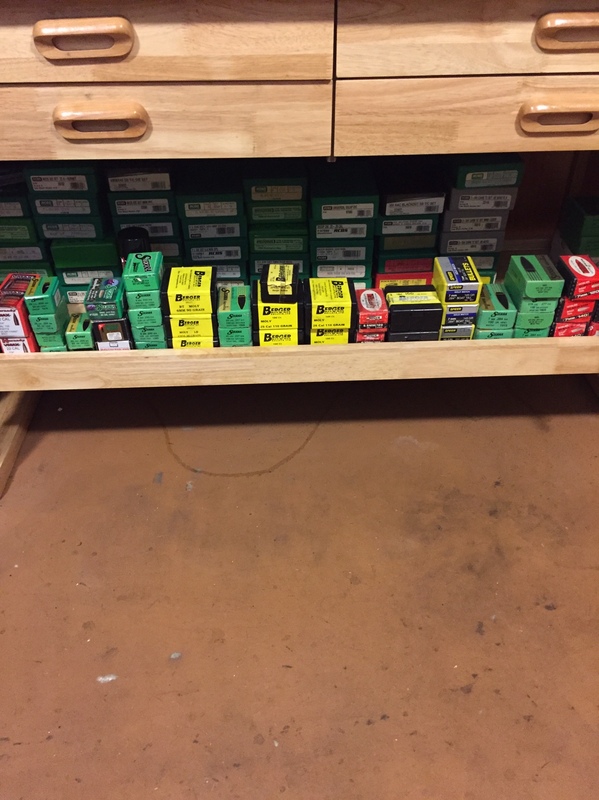 I keep my bullets on shelves that are only about a bullet box deep and organized by caliber. My dies are in a file cabinet drawer and I don't like that so much, well I guess the drawer part is ok but I use hornady adapters and after I put them on you can't get the lid shut. I find it odd that hornady dies won't fit using their system. A file cabinet would work for you and you can stand the dies on end and read them and pull out the one you need without restacking. BTW you have a lot of dies.